As a new year begins, it is a great opportunity to reflect on the year that has ended and what we have accomplished during 2017. One of the things I love most about blogging, is looking back over all of our creative projects over the past 10 years. It is a lovely record of how our skills, techniques, and style has evolved over time. We are so lucky to have so many wonderful readers – thanks for inspiring us to keep creating and sharing our creative journey. We really appreciate the supportive community here, and over on instagram and facebook. Although blogging is only our hobby, we have busy careers and family life, it always amazes me how much we manage to accomplish creatively throughout the year. 2017 was a big year for us as a family – we celebrated a university graduation, an engagement, acceptance into medical school, and new career opportunities. We also had a lovely holiday to South Korea and Singapore. 2018 is shaping up to be equally busy – just the way we like it! We have many plans/goals for A Spoonful of Sugar and have a number of new projects planned. In addition to releasing a number of new pdf patterns in our Etsy and Craftsy store, we also shared many free tutorials and projects to inspire you to get creative. Here is a round-up of our top 10 tutorials for 2017. 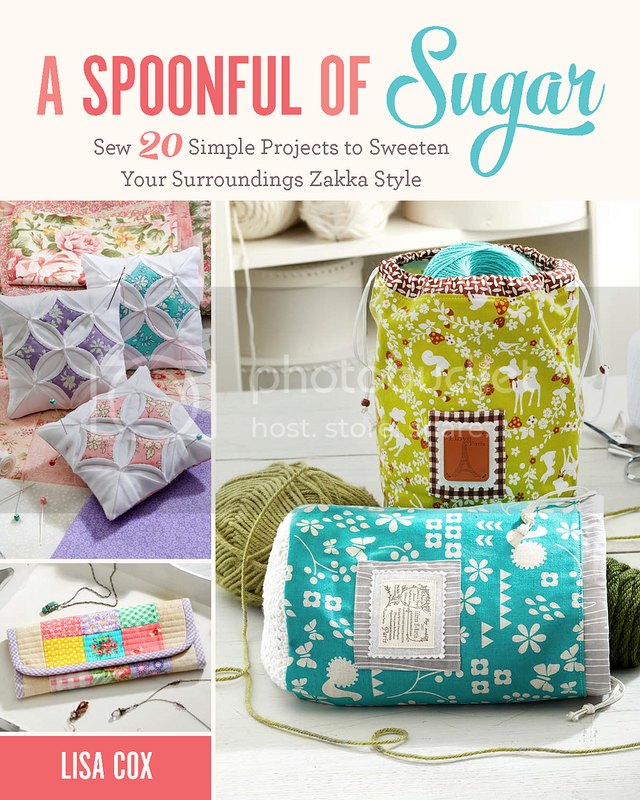 Hope you find something here to inspire you during some new year sewing time! (Click on the photo or link under each photo to be taken to the original post with all the project details). We hope you continue to stop by regularly to see the new projects we will be sharing with you in 2018. Flower Sugar Pouches – These are perfectly sized to hold a small gift and can be made in a jiffy. Hexagon Trays – These little trays are perfect for storing lots of bits and bobs on your sewing table – pins, threads, hexagon papers, binding clips – and more! Harvest Leaf Coasters – The Harvest Leaf Coasters are a modern design and are a quick, easy project – perfect for beginners! Harvest Drawstring Bags – These little Harvest drawstring bags are perfectly sized to hold a small gift, some dried lavender, or perhaps to organise some small items like jewellery or make-up. Pumpkin Patch Halloween Applique – Featuring a trio of pumpkins appliquéd onto a backing fabric, and then framed in a small photo frame. It is perfectly sized to display on your mantlepiece or hall table. Alternatively you could applique the pumpkins onto a pot holder, bag, or other small item. Card Holder – Organise your loyalty cards with one of these card holders. Spring Tea Towel – The Spring Tea Towel features assorted flowers in pink and yellow that are raw edged appliqued onto a ready made tea towel. Fabric Covered Berry Box – Combine pretty fabric scraps with wooden berry boxes. This is a quick, no sew, crafty project that can be completed in under 10 minutes. Valentines Matchbook Needle Holder – These needle holders make fun little gifts, and are perfectly sized for a travel sewing kit or to pop into your stitching kit. Happy Scrappy Cards – Handmade cards are the perfect finishing touch to a handmade gift! I love to challenge myself to use the fabric scraps left over from a new project design. These little Happy Scrappy cards are a great scrap buster project and can be quickly constructed. Hope you enjoyed our roundup of our top tutorials for 2017. We are getting quite a collection of our Popular Sewing Tutorials posts – that is what happens when you have been blogging for more than 10 years! Check out our most popular sewing posts from 2016, 2015, 2014, 2013, 2012, and 2011.